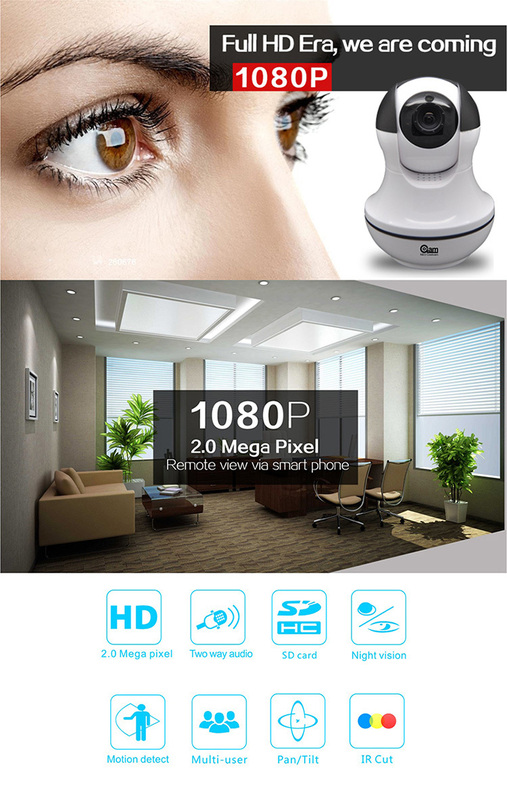 All of the Smart camera can import on customer order. We offer 15-day-long cloud service,everyone can enjoy the cloud storage service for free,after that you can choose to pay for the service with a low cost. B、There are three kinds of subscription packages for you, you can choose to pay for this service by monthly or yearly. Note:The cloud services are supported by Amazon AWS, all the videos and messages are saved to amazon web services, it was authenticated by US-EU Safe Harbor protocol verfication,ensuring your safety and privacy are inviolable.Due to the cloud subscription package is binding with the device,if the camera stops working and you need to transfer the subscription package to new device,please contact the seller. SD card costs dozens of dollars with limited life and easy to damage. 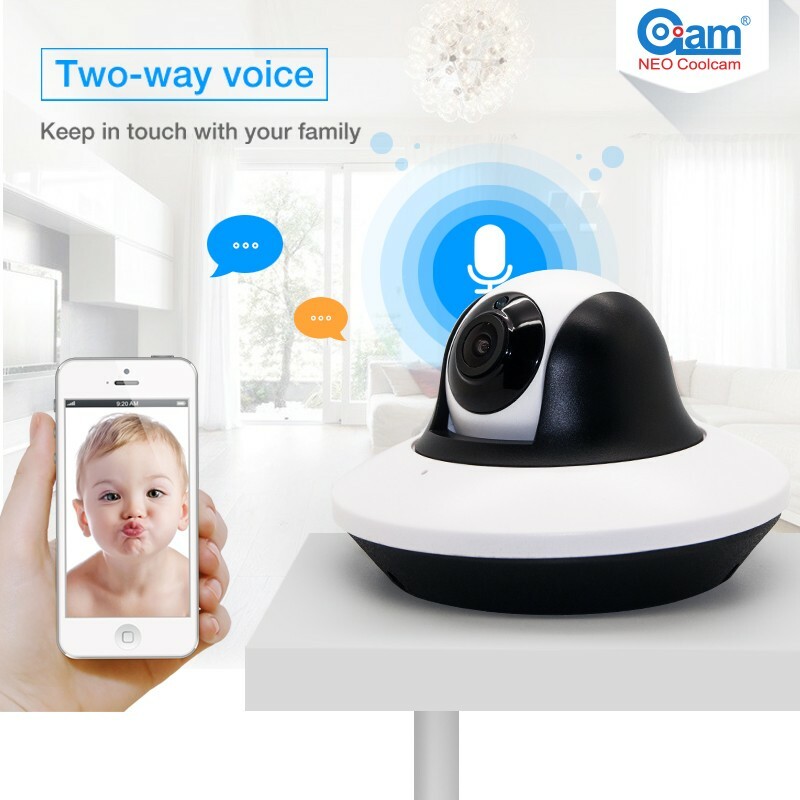 Our cloud storage provides three kinds of subscription package of recording storage mode, user can choose base on their needs, more cost effective. 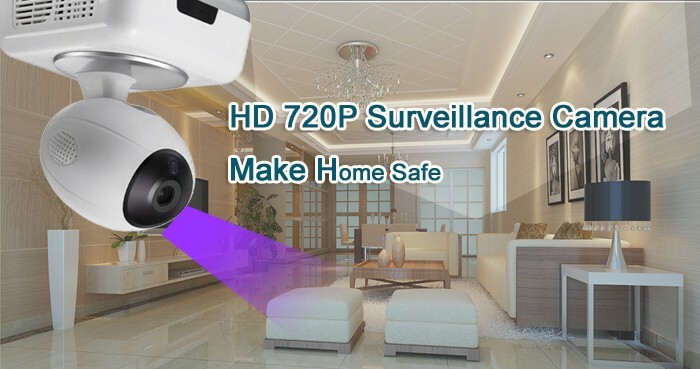 Supported by Amazon cloud, realize 24 hours mobile surveillance and real-time encryption to upload to the cloud, completely save of all recording data. For stable signal we recommend wired connection first and then switch to wifi connection. Remark: There are three ways of connection in App, and for stable signal we recommend the third one. 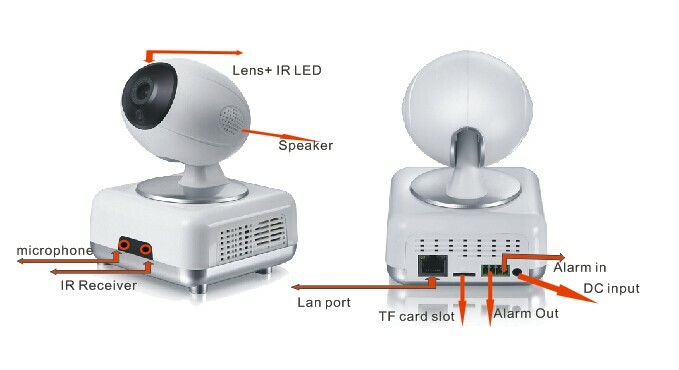 Connect camera by network cable first and then switch to wifi connection. Note:we will send different plug type according to different countries. 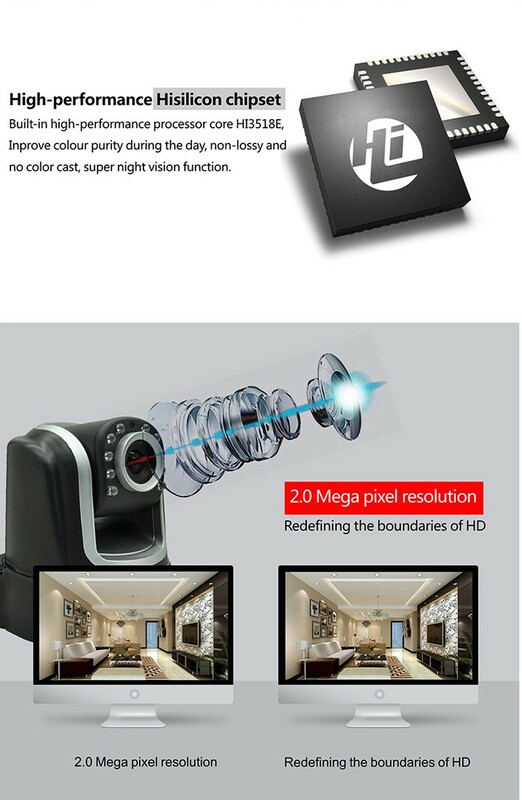 3 Megapixel high definition lens with multi-layer glasses make clear image. Slide on smart phone screen to move camera shooting position. 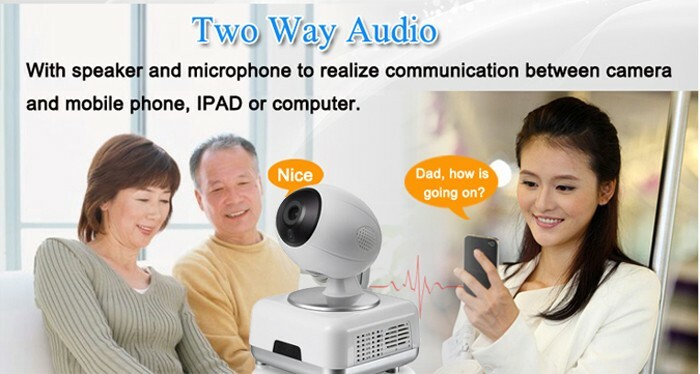 Built-in microphone & speaker,support 2-way voice talk. 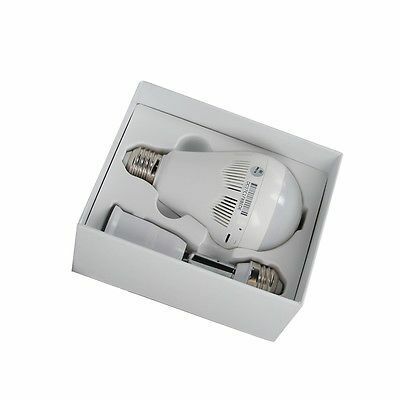 High power led,make clear B/W image at night. 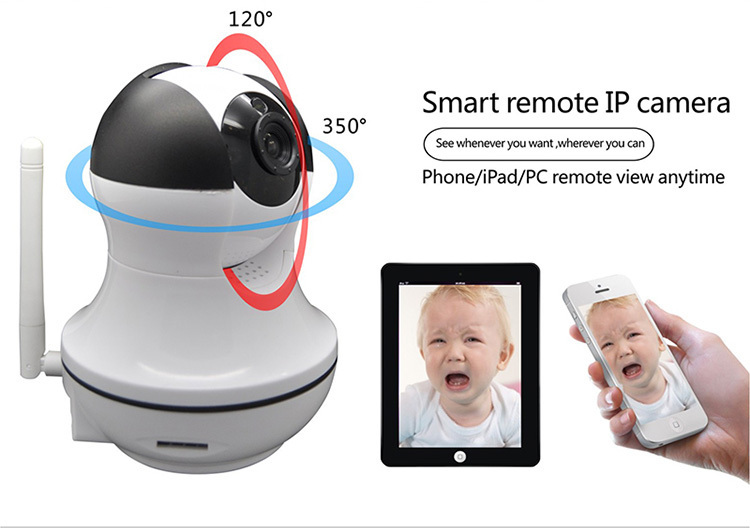 Detect Baby cry sound,can work as baby monitor. 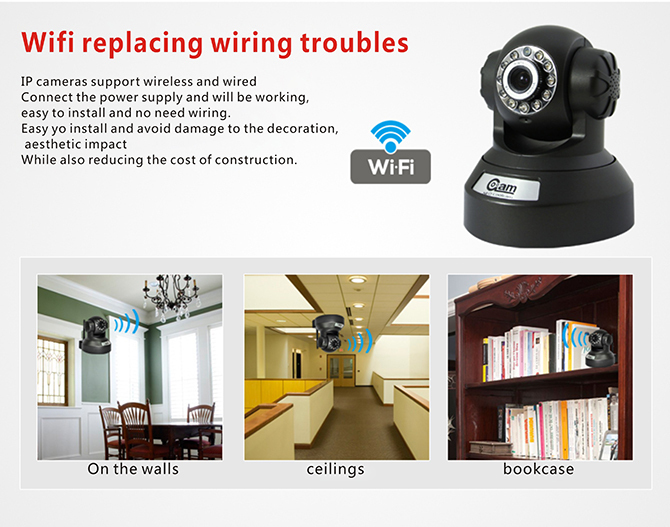 Support 8 zone 64 wireless alarm sensor, can work as alarm system with various detectors. Alarm message send to max 5 people and support 5 people to view at same time. Support local recording and recording by smart phone. Record and playback at any time. 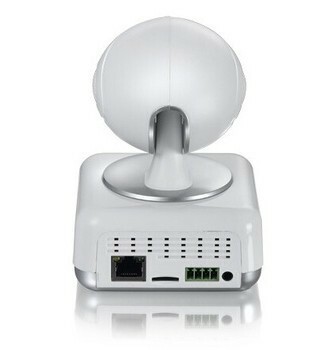 P2P cloud remote view anywhere anytime,Support lphone&android,pc,ipad view. 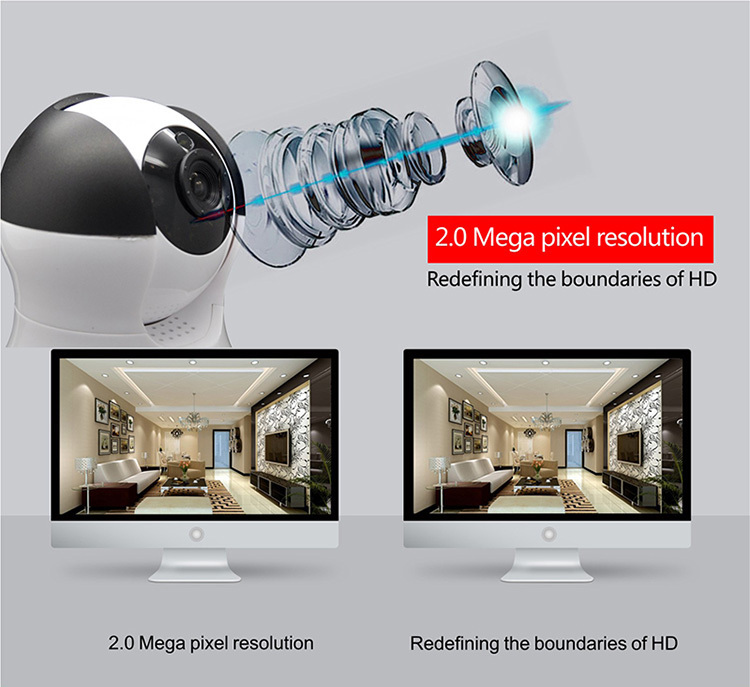 960P Resolution HD Video, working day & night. 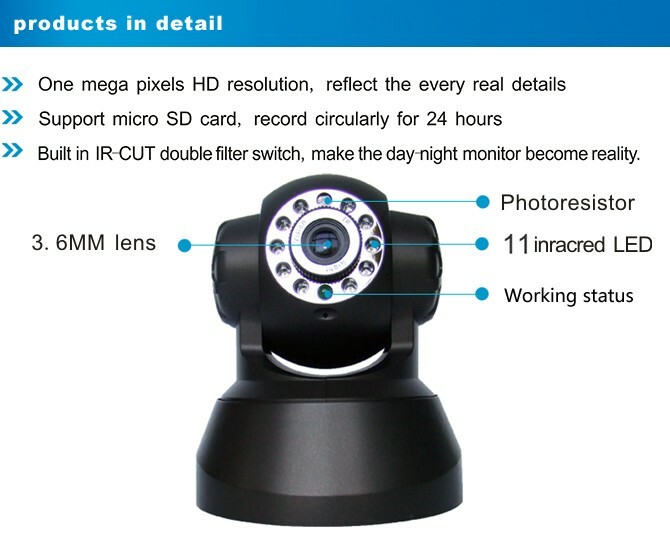 1.44 mm fisheye camera, it realize 360 degrees surveillance. Easy installation. The camera and bracket is magnetic. The bracket is fixed by 3M sticker or screws and the camera only need to put on the bracket. You do not need screws to fix camera. Max. support 64GB memory card . Videos can be saved in this card. 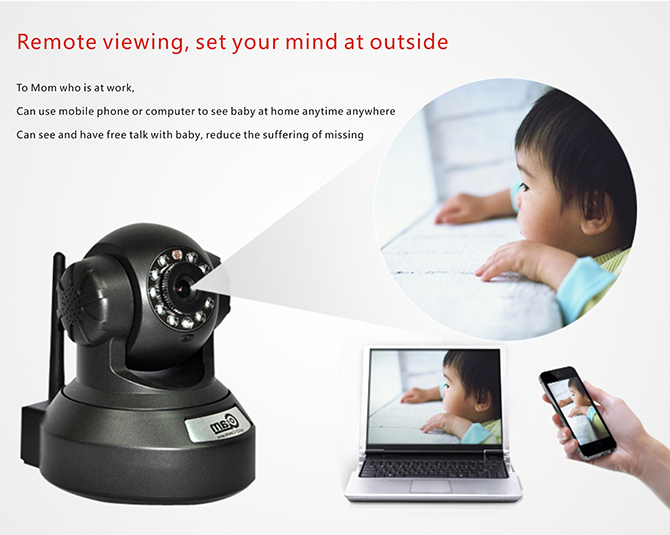 You can playback by mobile phone remotely. 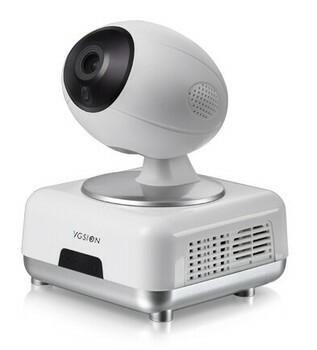 It is not only a robot but also a security camera. 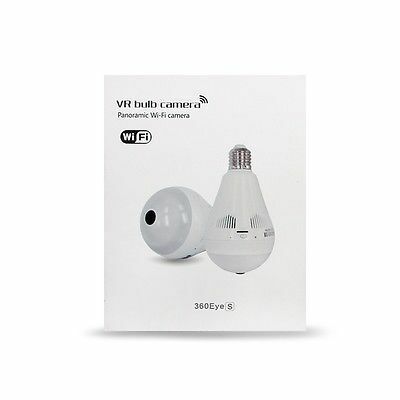 This robot support WI-FI connection. 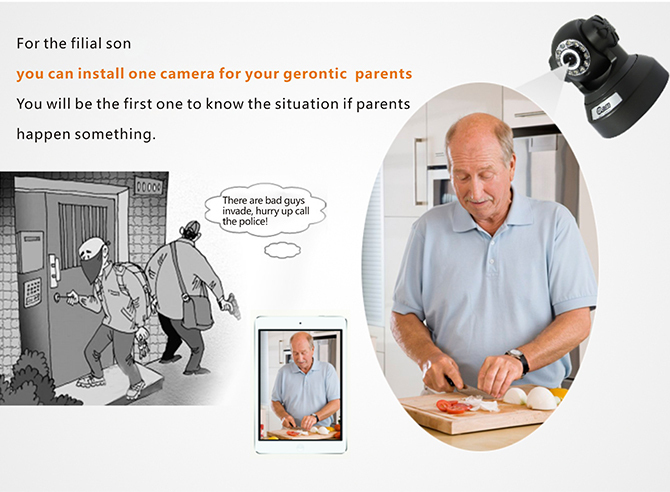 You can view picture by APP remotely. Camera resolution reaches 1280 * 960P. Lens view angle is 160 degrees. 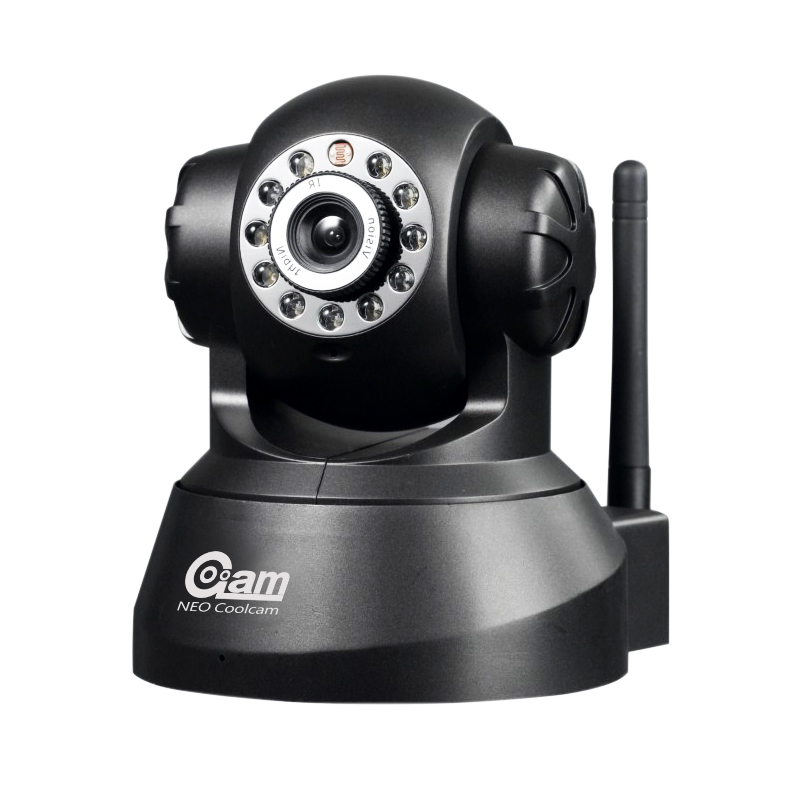 Camera supports ONVIF. 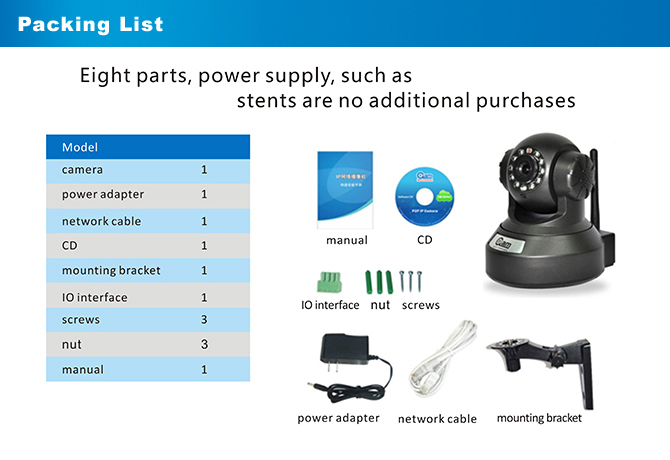 It can be connected to NVR and computer. Camera working day and Night. IR distance reach 10 meters. 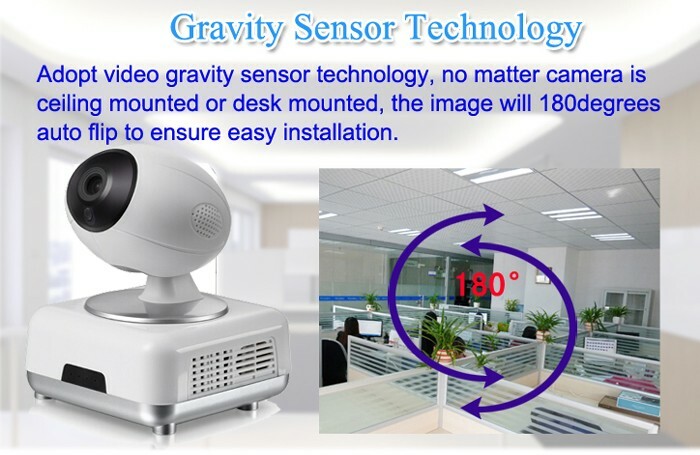 Camera support motion detection recording and continous recording. 1. 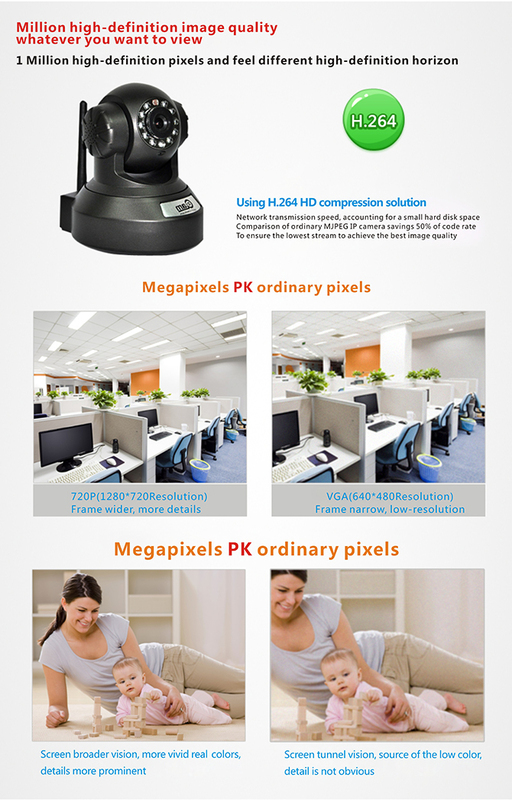 2.0 MegaPixels CMOS Sensor, H.264, 1080P. 2. 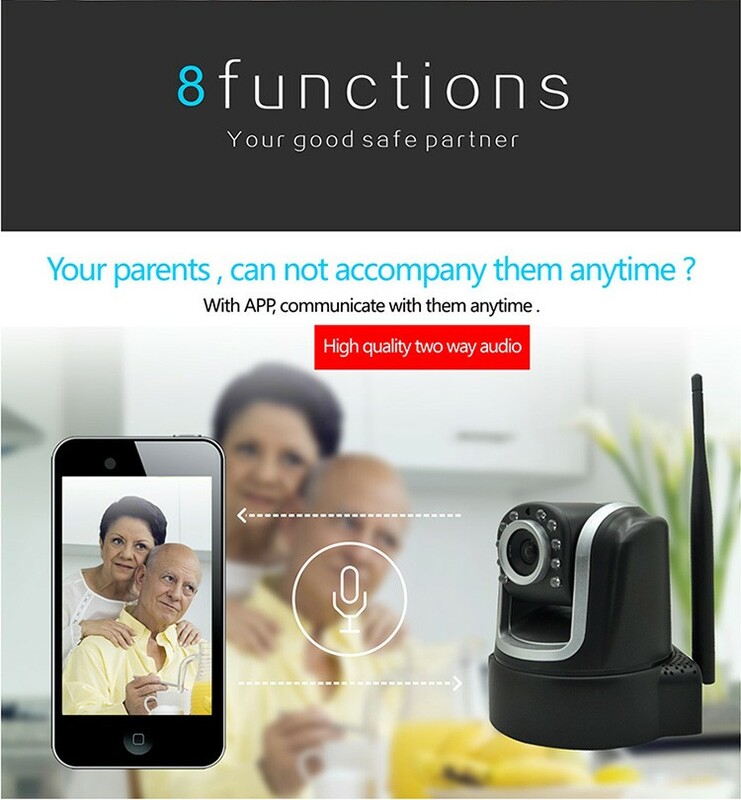 Onvif; WPS ; Push Notification; Alarm I/O. 3. 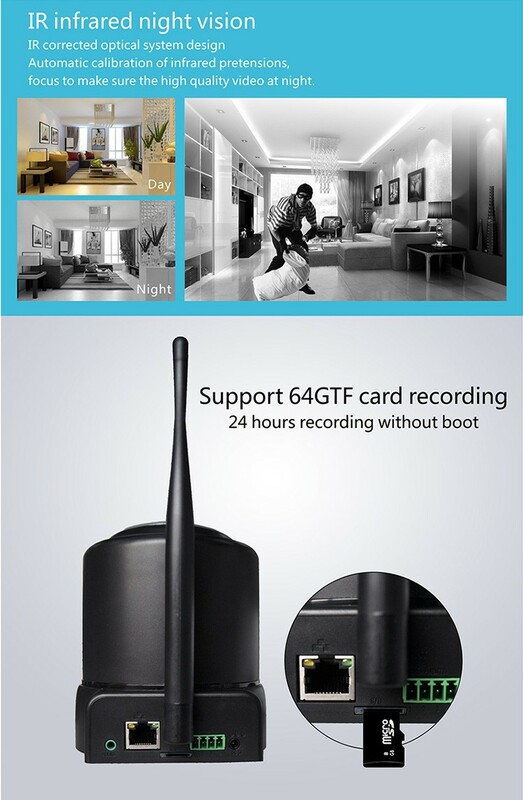 Two-way audio; TF Card slot, Max with 64GB. 4. 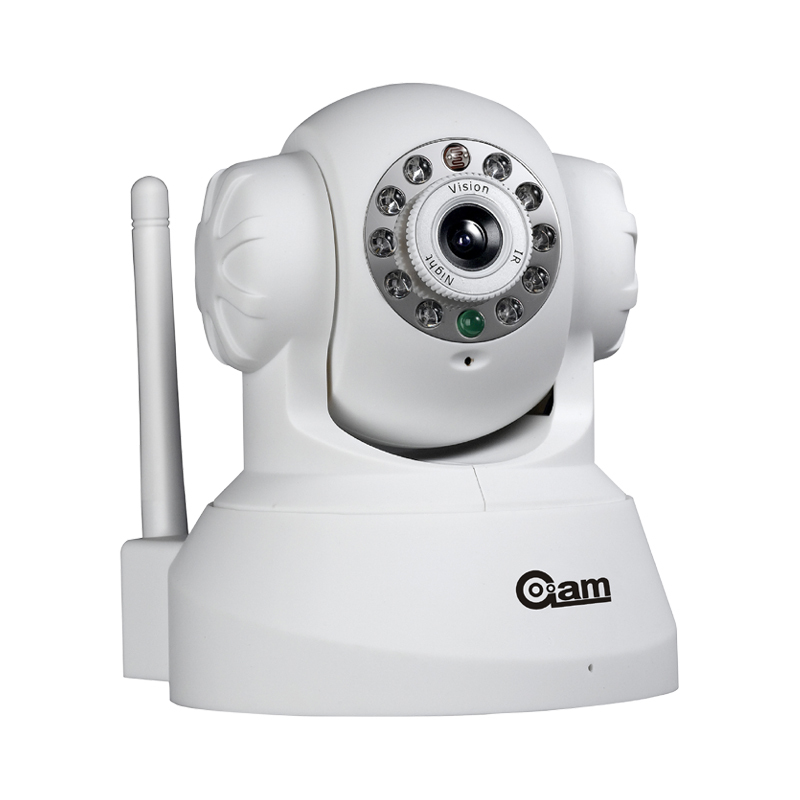 Built-in IR cut, to see real color of the image. 5. Free P2P Server;Easy setup scan QR CODE. 6. PT[Pan/Tilt] Vertically 120°, Horizontally 300°. 7. Image Frame Rate: 30fps for 1920×1080. 8. 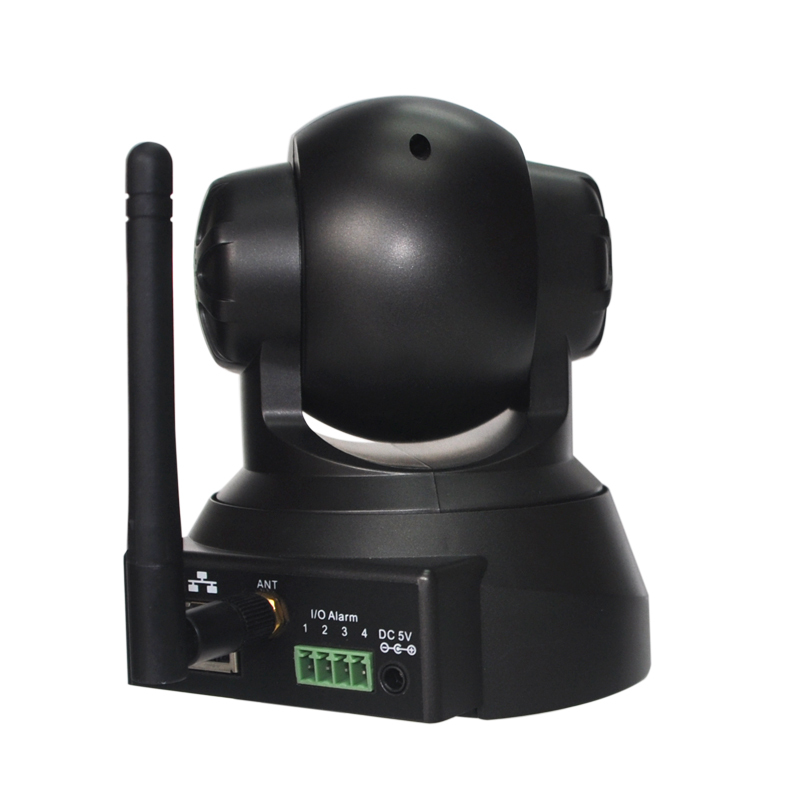 Nightvision: 7 IR LED lights ( Range: 5-10m ). 9. 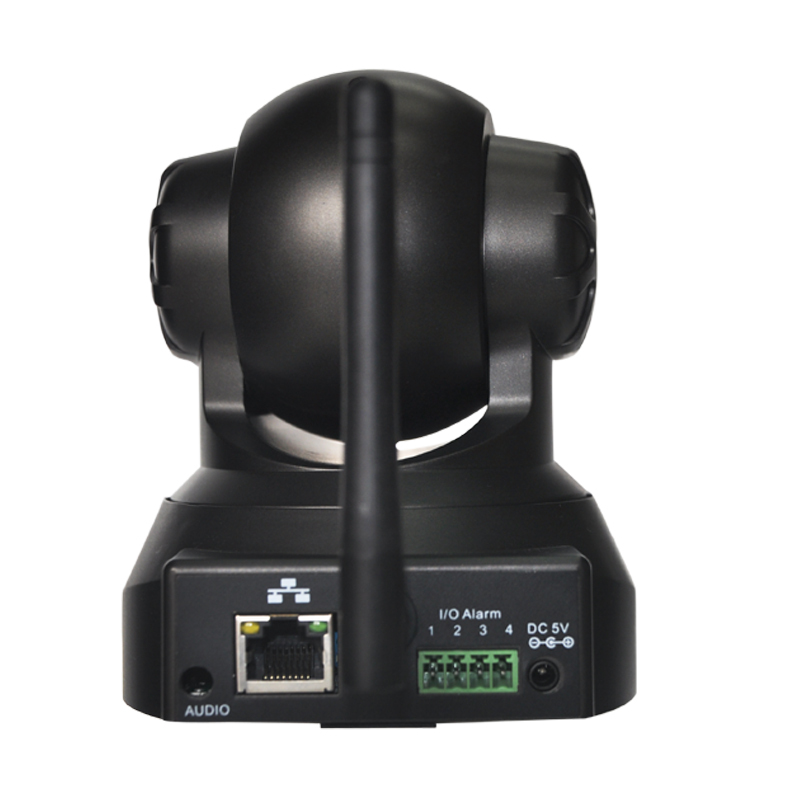 Support wireless network (Wi-Fi/ 802.11/b/g/n ). 10. 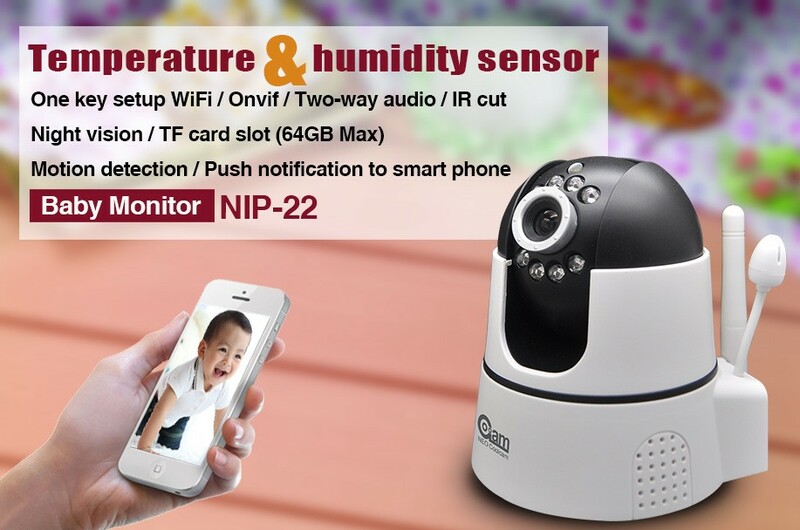 Support Motion Detection.Push Notification,send pics and video to the phone. 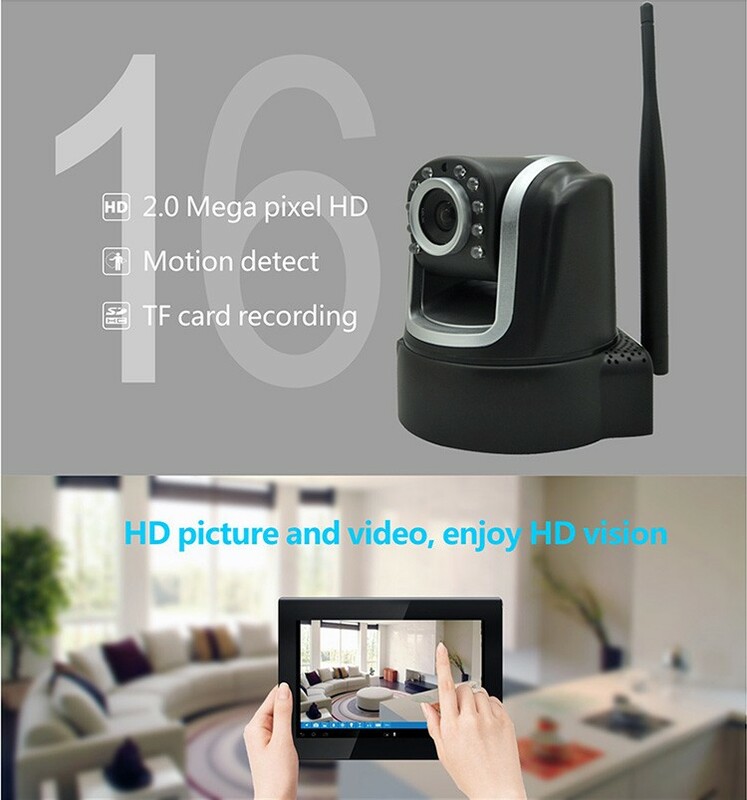 11.Support up to 64G alarm trigger local memory. 12. 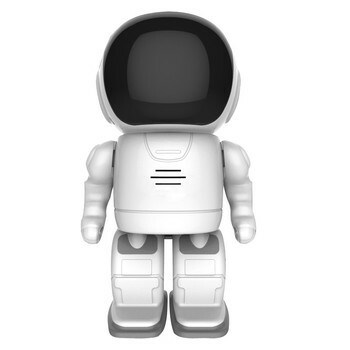 Multi-language, Firefox, Safari, Google browser .